Water damage, sudden or gradual, is one of the most common restoration issues that homeowners experience. 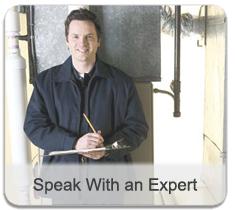 Most water damage results from ground flooding or a leak in the roof or a water/sewer pipe. Clean-Air Environmental Services deploys the equipment, tools, and experienced professionals necessary to manage the minimal to the most challenging water damage situations. Acting quickly and intelligently will make it less likely that serious structural, contents, or mold damage will occur. Our professionally trained remediators can act quickly to rapidly remove water and moisture from the property using commercial-grade high-tech equipment through a complex drying and dehumidification process. We follow industry standards and beyond to safely dry, deodorize, and disinfect any areas of a property flooded or damaged by water. Using these techniques and equipment, even moisture that has reached cavities in the floor and walls can be reached. If you would like to report an insurance claim regarding water damage at your property, whether or not a claim has been filed with your insurance company, click here.